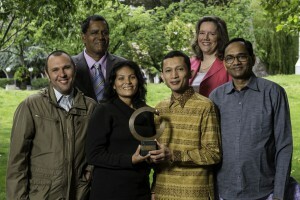 The Goldman Environmental Prize is the world’s largest and most prestigious annual award for grassroots environmentalists. Many people refer to it as the “green Nobel.” Goldman Prize winners are models of courage, and their stories are powerful and truly inspiring. “The Prize recognizes individuals for sustained and significant efforts to protect and enhance the natural environment, often at great personal risk. Each winner receives a financial award. The Goldman Prize views ‘grassroots’ leaders as those involved in local efforts, where positive change is created through community or citizen participation in the issues that affect them. Through recognizing these individual leaders, the Prize seeks to inspire other ordinary people to take extraordinary actions to protect the natural world.” 2018 is the prize’s 29th year. Click on each recipient’s name to read a longer profile—and watch a brief video—about their remarkable efforts and achievements. 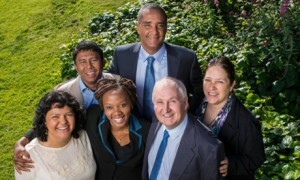 The Goldman Environmental Prize is the world’s largest and most prestigious annual award for grassroots environmentalists. Many people refer to it as the “green Nobel.” Goldman Prize winners are models of courage, and their stories are powerful and truly inspiring. 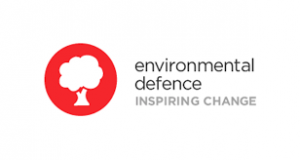 “The Prize recognizes individuals for sustained and significant efforts to protect and enhance the natural environment, often at great personal risk. Each winner receives a financial award of $175,000. The Goldman Prize views ‘grassroots’ leaders as those involved in local efforts, where positive change is created through community or citizen participation in the issues that affect them. Through recognizing these individual leaders, the Prize seeks to inspire other ordinary people to take extraordinary actions to protect the natural world.” 2017 is the prize’s 28th year. Prafulla Samantara—India: An iconic leader of social justice movements in India, Prafulla Samantara led a historic 12-year legal battle that affirmed the indigenous Dongria Kondh’s land rights and protected the Niyamgiri Hills from a massive, open-pit aluminum ore mine. Click on each recipient’s name to read a longer profile—and watch a brief, well-produced video—about each person’s remarkable efforts and achievements. 2016 is the prize’s 27th year. 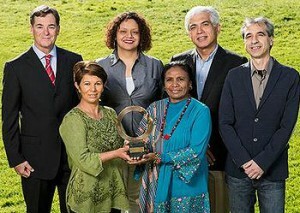 The Goldman Environmental Prize ceremony is held in San Francisco, California and then a couple of days later in Washington DC. The main event on April 18 will be livestreamed on the Goldman Prize YouTube channel, as well as on their website and Facebook page. Online activism is sometimes disparagingly called “slacktivism.” While it’s true that more direct actions (e.g., phone calls, marches, protests, boycotts, face-to-face conversations, and personal letters) can sometimes be the most effective ways to effect change, online petitions and information-sharing through social media are essential parts of grassroots communication and participation these days. And well-crafted petitions that get a lot of signatures do get noticed by their recipients and can be very effective. I often sign at least one or two online petitions a day. It only takes a couple of minutes, and I’ve been heartened to see that many of those past petition campaigns have been successful in effecting their intended changes. If you’re not already on the mailing list to get emails from the organizations and websites listed below, you might want to check some of them out. The first set of sites feature petitions that are focused primarily on environmental campaigns, while the second set have petitions on a variety of social, economic, environmental, and political causes. On a few of the sites (including Change.org, Care2, and MoveOn), you can also create your own petitions. These sites are focused primarily on efforts in the United States. If you know of good environmental petition sites for other countries or international issues, please mention those in the Comments! Note: This is not an endorsement of all of the petitions that appear or have appeared on these sites. While I have often found many of their petitions to be sound, I don’t necessarily agree with the opinions expressed in every petition from these sources. 2015 is the prize’s 26th year. 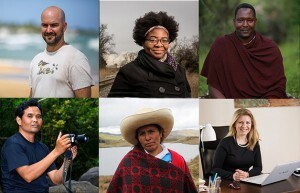 The Goldman Environmental Prize ceremony, which is held in San Francisco, California and then in Washington DC, will be broadcast LIVE on the Goldman Prize YouTube channel. Myint Zaw, Myanmar: Facing heavy government scrutiny and restricted use of tools like email or social media, he launched a national movement that successfully stopped construction of the Myitsone Dam on Myanmar’s treasured Irrawaddy River. Click on each recipient’s name to read—and watch a brief, well-produced video—about their remarkable efforts and achievements. 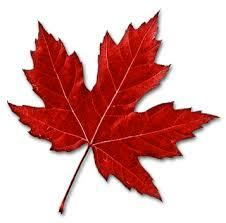 Here’s the video about Marilyn Baptiste, from British Columbia, Canada. This year marks the 25th anniversary of this international prize. And this year, for the first time ever, the Goldman Environmental Prize ceremony will be broadcast LIVE on the Goldman Prize YouTube channel. Click on each recipient’s name to read—or watch a brief video—about their remarkable efforts and achievements. Here’s the video about Helen Slottje, who has provided pro-bono legal assistance to help towns across New York (including Dryden) defend themselves from oil and gas companies by passing local bans on fracking, using a clause in the state constitution that gives municipalities the right to make local land use decisions. Click on each recipient’s name to read—or watch a brief, well-made video—about their remarkable efforts and achievements.